If you take a look at any company’s income statement, you will notice that one of the largest expense items is salaries or compensation. While companies require employees to conduct business, it is expensive to have them. What happens when those employees leave? 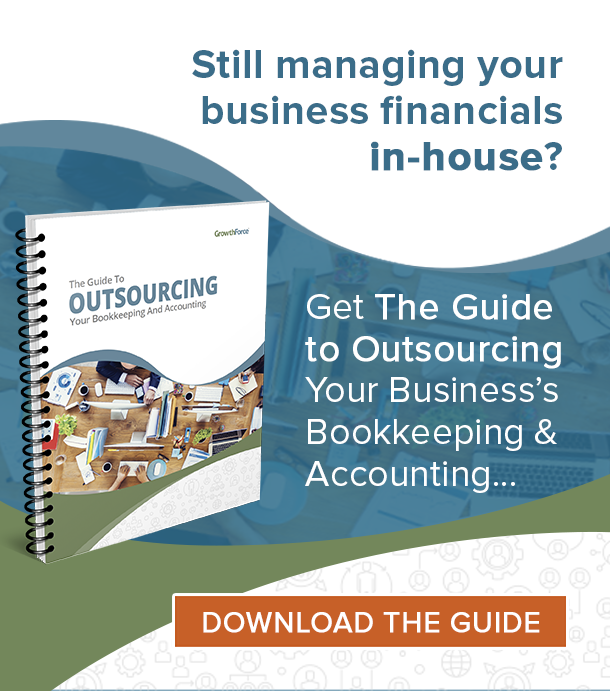 Many times, companies do not calculate the cost of turnover and how it impacts the bottom line. The financial leader’s role is to manage profits and cash flow. Learn the 8 steps we take to improve profits and cash flow (in the millions) with our tools, resources, and checklists found in the SCFO Lab. The cost of turnover is the cost associated with turning over one position. This calculation includes the cost of hiring for that position, training the new employee, any severance or bonus packages, and managing the role when it is not filled. Every company will experience some turnover. When a company has high employee turnover, they risk impacting the profitability of their organization, the culture, and the productivity. Every organization should strive to retain their employees for as long as possible. If they see a uptick in employee turnover, then they should take action to reduce turnover and improve retention. This results in more efficient operations and higher profits. Previously, we mentioned that turnover impacts profitability. There are various ways employee turnover impacts the profitability of a company, including employees picking up duties (overtime pay, injury, exhaustion, decrease productivity), the cost of hiring a new employee, and the overall state of the company’s culture. For example, a company that has a heavy presence on the web looses its marketing director. The current employees will have to figure out what that position actually did, pick up extra responsibilities, work overtimes, etc. If it was a planned departure (more than two weeks), then the transition may be more smooth; however, if it was an unexpected departure, then the company will be in a bind. Now, it’s time to fill that vacant role. That takes time – especially, if you are slow to hire and quick to fire. In addition, the current hiring process is not cheap either. No matter where that employee lies on the income statement – in COGS or SG&A – employee turnover has a huge impact to the bottom line. Either, you experience a sales person that is not selling (decreased revenue and increased costs) or a support person that is just increasing costs. Turnover impacts profitability, so it is important that you focus on employee retention. There are several reasons to focus on employee retention, including consistency, the bottom line, culture, and reputation. 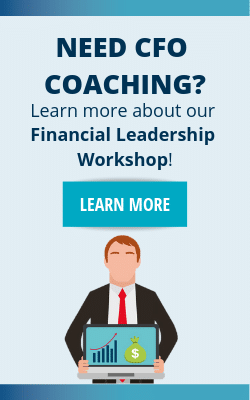 Learn how to be a financial leader who increases employee retention in their organization with our execution plans, whitepapers, webinars, office hours, and so much more in the SCFO Lab. Consistency is key in any company. If your company is experiencing turnover in a client facing role, then turnover will cause more problems than profitability. For example, a consulting agency has 5 project managers in a year. The clients do not know who is there project manager or if anything is getting dropped or who to contact. It’s simply frustrating. In another example, a company looses all of its experienced team members within a few months. Now, they have new employees that are not familiar with the process, systems, team, or company. It will be hard for that company to gain any momentum without a consistent staff or a staff dominated by rookies. On average, every time an employee leaves, it takes 6-9 months of salary to find a replacement. For example, if a person leaves and made $40,000, that’s anywhere between $20-30,000 of hiring and onboarding costs that were not previously anticipated. If you lose a higher level employee, then expect to pay more. The cost of turnover makes a dent in the bottom line. How can you establish a company culture when your workforce is constantly changing? Establishing a good culture is difficult to do, but establishing a culture when there is no consistent workforce is near to impossible. We have seen how culture impacts the financial results of the company. Beyond company culture, high employee turnover impacts the company’s reputation. Job seekers research the companies when applying to a position. If you cannot retain employees, then what does that say about your company? Your brand and reputation will be impacted by turnover. Unfortunately for the company, there are online resources such as Glassdoor that give employees and ex-employees a platform to give honest feedback about the company. The employee retention definition is the company’s ability to retain its current employees. If a company has a 95% retention rate, it means that the organization retained 95% of its employees for the given period. Every company should strive to improve their employee retention rate as it influences the culture and impacts the company’s profits. The following includes effective employee retention strategies. First, establish clear goals and expectations. Employees become frustrated when they are unsure as to what their duties and expectations are. Communicate clearly with your team what your expectations are and what their responsibilities are. In addition, make goals together as a team. They will be more attainable, and everyone will be on the same page. Among many reasons, studies rate salary as a top reason why employees leave a company. If your company is not able to exceed competitive benefits, then at least offer comparable benefits. Remember, salary is not the only reason why employees leave. Culture is proven to impact the financial results of an organization. Establish a company culture that makes it enjoyable for your employees to work there. Some companies like Zappos are extremely customer centric. Other companies may offer flexible working environments (remote work, flex desks, etc.). Moreover, create a culture of open communication. The #1 reason why someone leaves a company is not because of salary, but it’s because of the manager. If there is an issue, fix it the first time you hear about it. Above all else, make your employees feel valued. If an employee works 40 hours a week, then you (the company) take approximately 24% of their time up by work alone. And if that employee sleeps an average of 8 hours a night, then about 57% of their week is either working or sleeping. Then the remaining 43% is spent eating, running errands, and spending time with family and friends. With such a significant amount of time at the office, reassure them that their work is valuable. Show them how they are contributing to the bottom line. Start addressing turnover by recruiting a star quality team that is right for your organization. 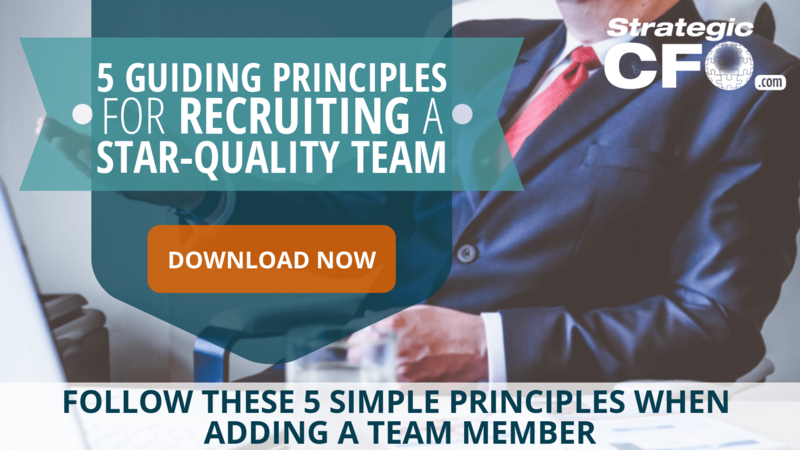 Determine which candidates are the right fit for your company, and click here to access our 5 Guiding Principles For Recruiting a Star-Quality Team. 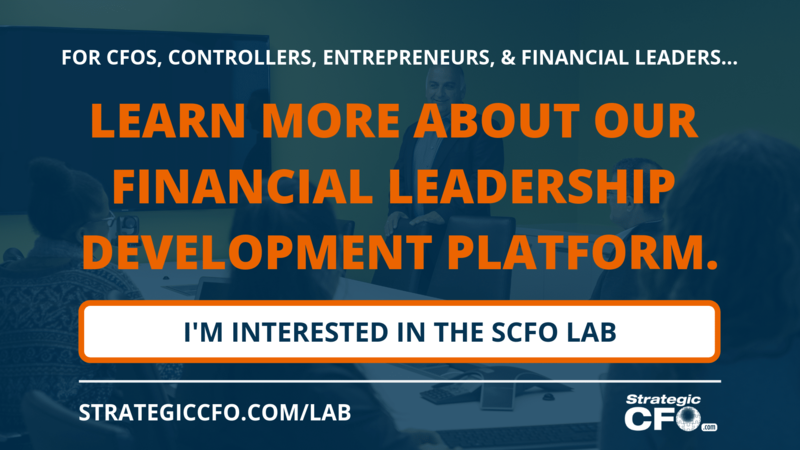 If you are looking to further develop your financial leadership skills, then click here to learn about the SCFO Lab. This online membership includes ALL the tools, resources, checklists, etc. that we use with our clients to improve profits and cash flow in the millions.